Northumberland won silver at the British Travel Awards last night. Northumberland was honoured at a prestigious awards ceremony last night. The county secured silver in the Best UK Holiday Destination/County category at the 2015 British Travel Awards. Rising above well-loved tourist destinations Devon and the Pembrokeshire Coast, the county was just pipped to the post by tourism giants Cornwall, who took gold for the seventh time in a row. It has been a long wait since voting closed at the end of September. Hot on the heels of a hugely successful night at the 2015 North East Tourism Awards earlier this week, the team at Northumberland Tourism couldn’t be happier with the result. Jude Leitch, director of Northumberland Tourism, said: "This is a great result for Northumberland, showing the county is considered amongst the top visitor destinations in the UK. Far from being disappointed, for a county sometimes known as England’s last ‘hidden gem’ to place second to an established brand such as Cornwall for the second time in a row is hugely encouraging. It shows a consistent popularity with the general public and that we’re a real contender in terms of staycation destinations. To place ahead of destinations Devon and the Pembrokeshire Coast is something of which we can be very proud. We want to thank voters, supporters and everyone involved for their overwhelming support throughout the campaign." The voting campaign aimed to encourage visitors and residents alike to vote for Northumberland and Share the Northumberland Spirit. This year, local businesses and attractions have been key to the push for success by consistently encouraging their social media followers to vote, as well as great support from local media. 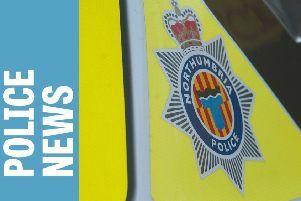 Also giving their support were a range of famous Northumbrians and others with links to the county including Sting, Robson Green, Jack Charlton, and Ann Cleeves, author of the Vera crime novels on which the hit ITV series is based. Ann Cleeves said: “The Vera of my books captures the spirit of Northumberland. She’s rugged, individual, but worth getting to know. However, the country is much more beautiful." Spearheaded by Northumberland Tourism, in partnership with Active Northumberland and Northumberland County Council, all organisations have been thrilled with the level of support throughout the campaign. Coun Val Tyler, cabinet member for arts, leisure and culture at Northumberland County Council, said: “Our rise in recent years to become one of England’s most loved destinations is down to the excellent people and spirit we now have in place to deliver Northumberland as a great place to visit. Northumberland County Council and our delivery partner, Active Northumberland, see tourism as being absolutely critical in growing the economy of the county and we are working tirelessly both directly and through our partnerships to achieve sustained growth. Businesses now see the value in the visitor economy and spurred on by the national profile we have achieved through our collaboration on the Tales From Northumberland TV series, they are feeling confident about their offer and are investing in superb facilities and quality experiences for our visitors."